If you were hoping Ryan Adams would give you something good ahead of the release of his new 7-inch and reportedly self-titled LP, your weekend just got a bit better. A stream of the alt-country artist's "Gimme Something Good" has made its way online. Building itself around a bluesy lick and some simmering organ work, the track first finds Adams heading out for a walk to clear his mind, and noting that there's a "darkness on the rise." He seeks salvation in the chorus, calling out atop shimmering twelve-strings for someone to "gimme something good." You can hear how it all turns out by giving the song a stream down below. 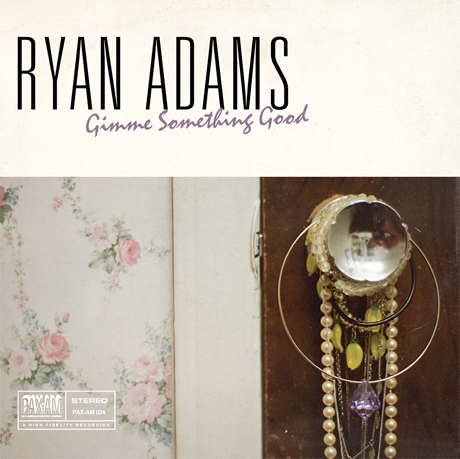 The "Gimme Something Good" single arrives July 1, while Adams new LP is slated to hit stores September 9 through Blue Note.